December _ 2011 Alina Alens signs the introduction to Florentijn Bruning’s book, and completes one of the final drafts of the play “Born A Foreigner”, which is submitted to and shortlisted in the Talking About Borders international drama competition. July _ 2011: “Alina Alens – Poveste de artist”, interview by Monica Vajna published in Oservatorul de Covasna, Sfantu Gheorghe, Romania. December, 2010: the publication of “My Teacher is a Blogger” in The Teacher magazine, 12 (84), pp. 44-49. __October, 1st: LIVE PREMIERE of the latest version of “Maine”, a darkwave remix by DJ Stront, at the Cross Culture Festival, at Cafe Kulturalna (Plac Defilad 1), Warsaw. The first song below is the original “Maine”, the second is its remix. ENJOY & SPEAK YOUR MIND on the YOUR SAY page!!! __September, 30th, 6pm: “The Incomplete Fantasy We Call Love” book reading supported by the Hungarian Cultural Institute (ul. Moniuszki 10 ), Warsaw, and chaired by Alina Alens. Reading guests: Atma Anur and Witt Wilczynski. 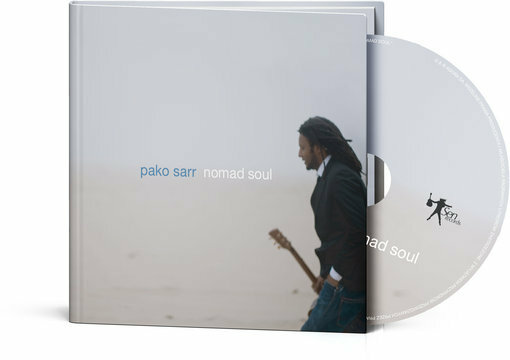 __ September, 2010, the release of Pako Sarr’s debut CD in Poland, “Nomad Soul” (Universal Music Polska). Alina Alens co-signs the lyrics to the single on this album, In My Village. Here is the video of the single (music: Pako Sarr, lyrics: Alina Alens & Pako Sarr). __June, 2010: the publication of the third article in the series dedicated to additional learning sources, “Additional Learning Sources (3): Students for Students, Measure for Measure (Ideas and Tips for Teachers in Four Acts)”, in The Teacher magazine 6-7 (80), Warsaw. __ May, 2010: the publication of the second article in the series dedicated to additional learning sources, “Additional Learning Sources (2): The Teacher (Tips on How To Bring More of Yourself to Class)” , in The Teacher magazine 5 (79), Warsaw. __ April, 2010: the publication of the first article in the series dedicated to additional learning sources, “Additional Learning Sources (1): Movies (A set of seven extracurricular activities for B2, C1 and C2- level students, based on the movie The Visitor)“ , in The Teacher magazine 4 (78), Warsaw. __ mid December, 2009: Alina Alens’ interview in Polish is published in Gniazdo 2 (7) 2009 , pp. 43-45. You can read the English version of the interview below. Interviewer: Witt Wilczynski. 1. “The Incomplete Fantasy We call Love” was officially published in 2009. How did it come to happen? It might sound strange, but this book came out as a magical surprise to me too, from the very beginning. I often think that such surprises in art, very much like most miracles in life, defy any rational explanation. I found myself writing the nineteen poems in this collection between the middle of May and July 17th, 2007. At that time I had been living in Kraków for eight months. Looking back on this time I have to mention that my first months living in this city proved to be extremely inspiring for my development and growth as a creative personality, as well as for my personal outlook on life and living, in general. 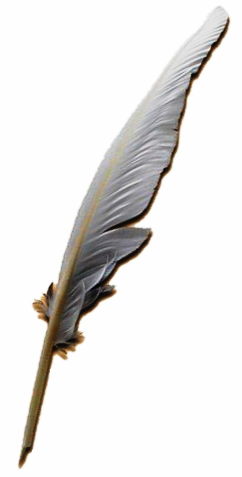 These poems were written in pencil, in many subsequent versions, at highly emotional times. I would work on each one until I would finally be pleased, and would abandon all other previous versions. Inspiration and emotion increased the speed of a process that is equally long and thorough. Thus, in highly emotional, repetitive episodes, I would give linguistic shape to the essence of various thoughts on living, being in love, resting, on the limitation and lack of limitation of the human (emotional) potential. I would try to versify, which for me means to concentrate in written form, those thoughts and feelings that make us who we are. I find the way we perceive and react to love highly illustrative of who we all are. My favourite way of portraying our humanity is through the use of metaphors. Metaphors have always shaped my discourse and my vision in everything I have written – poetry, song lyrics, or prose. I like to contemplate the deeper truth behind them. I suspect that using English is yet another metaphor for me – a Romanian writer currently living in Kraków. To get back to your question, I believe these poems were meant to happen, and they were meant to happen at that precise moment, July, 2007, as they marked a sign of artistic maturity. Now the way from the manuscript (2007) to the actual book (2009) represents a different stage in the history of “The Incomplete Fantasy We call Love.” I have to address my thanks to the people who believed in the value of this collection, especially to Ms Agnieszka Korycinska-Huras, who was one of the very attentive experienced readers who passed initial judgements on the book and later supported me in publishing it, and to Jan Szutkowski, who translated these poems into Polish. Thanks to them I managed to see my book in print in 2009, in a bilingual, English-Polish edition, at a printing house called Drukarnia Kraków. The surprise I felt as I was writing the poems was due to the fact that at that time I was in the process of writing a novel, and I imagined that the novel would come first. I was wrong. That is why, as I like to say, I remembered how to write poetry when I forgot I was writing a novel. 2. Alina, you wrote in the beginning of “The Incomplete Fantasy We Call Love” that one has to read these poems in Kraków, or imagining they are in Kraków. Why Kraków? There has to be a strong connection between an environment that forsters or allows significant changes in someone and that person. If the spiritual environment was, for me, the rediscovery of love and of a personal, altruistic expression in writing music and literature, the concrete, physical environment of my development was Kraków. The year that brought along most of the changes was 2007, when I lost my father. 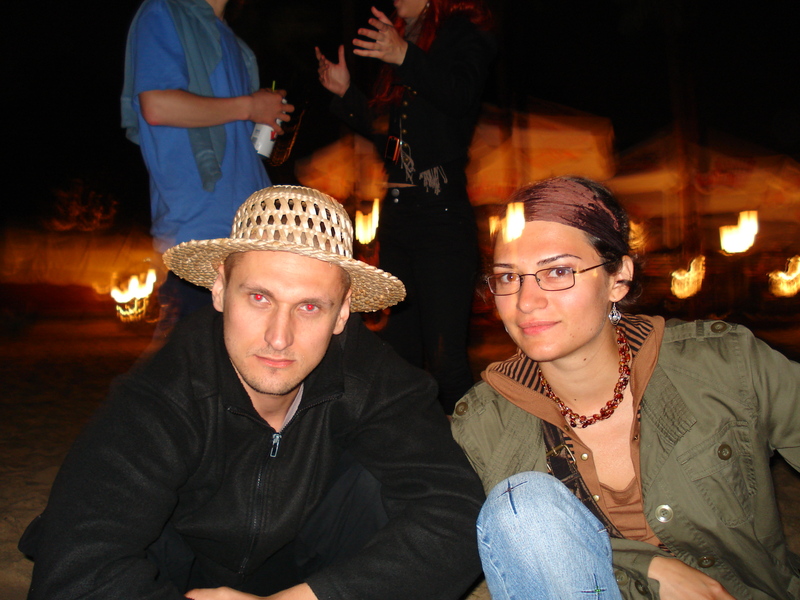 From October, 2006, when I moved to Kraków, and all through 2007 until today I gained a lot of knowledge and strength. I started writing poetry, prose, lyrics and music. 3. You are a rock musican too. Do you connect your music with your poetry or is this an independent side of your artistic activity? Yes and no, and I will try to explain why. I will give you an example. I did not know why I chose that particular, double-title structure for the majority of the poems in the collection. It took me a lot of time to partly understand the inner logic behind this structure that my instinct revealed to me from the very beginning. There are still questions to be asked and maybe even answered about this issue, which remains a mystery to me until today. My belief is that every poem I wrote gives linguistic form to a piece of music. The double-title structure gives more swiftness to the tempo of each poem, allowing the eye to sweep across the page in one gaze, between one title and the other – with the exception of the “archer” poem, which is the longest in the collection and where the eye needs more time to “think”. That was clear. But why did I use two titles? When I continued to think about it, the image of a piano player came to mind and I realised that I had been writing my poems with two hands, just as the piano player plays his instrument using two hands to cover the higher and the lower sound registers. I took this as a sign of the influence music has had on my thinking and on the way I use language in expressing my thoughts. I invite you all to meditate on this puzzle and test the musicality of words in the books you are reading. I am curious what you come up with, so let me know! 4. I see in your poems a good balance between the mind and the mystical human feelings or archaic atavism. This balance is changing depending on the poem, but it still remains in a good proportion. Am I right? Your question brings a new perspective to what I wrote, but this may simply be because of the terminology you use. If by “mystical human feelings” you mean the unintelligible, hard to describe, mysterious emotional aura we all carry around us, and if by “archaic atavism” you mean the emotional legacy inherent in each and every one of us, irrespective of our knowledge and of the age we live in, then I agree with you that these poems are a result of and possibly a response to a clash between the reasonableness of the mind and the impetuousness and – most often – unreasonableness of feelings. 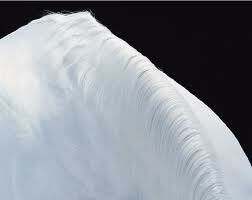 The fact that you see a good, recurrent balance in these poems is appreciative, and I thank you for that! It means that in any confrontation of the soul there is hope, and I am glad to know that my poems convey this idea. I believe in the legacy of hope and its importance for humanity. 5. From my heathen point of view, your poems have a certain pagan climate, as they are inspired by life, love, human behaviour and feelings. What do you think about it? I think you are right in passing such judgement. Just like anyone else, you look at the world from your own perspective, which you declare heathen, in a pure, non-destructive sense. You are entitled to your convictions. I once assigned the students I was teaching to write an essay about the main elements of their personal mythology. It took some time for them to understand what personal mythology meant. This might have been because no one else had asked them to do this before. In my opinion each and every one of us can take a closer look at his or her beliefs and organise them into what can be called a “personal mythology.” If this is done as an act of self-discovery, it can clarify our stand points in regard to important aspects of our lives. I believe that in writing “The Incomplete Fantasy We Call Love” I have laid the basis of my own personal mythology. “The Incomplete Fantasy We Call Love” has also brought closure on some issues that I found disturbing or troublesome in life. In the metaphor of “camping hearts on the map of the world,” to give only one example, I managed to enclose both the fear of the unknown involved in movement or transition, and the desire to roam free, to wander, explore, and discover. For many writers concluding writing a book means placing a period (“.”) at the end of a certain stage in their development. I could subscribe to this. However, the book of poetry I wrote in 2007 is equally a window into the past and a gate into the future. It opened the way for future artistic endeavours. I have already mentioned the novel I started even before writing these poems. I should add that I hope to release my first music album next year. These are two of the main projects in progress at the moment and they will each add to my personal mythology and my artistic legacy. 6. Do you recall your first poem? Yes, I do. It is interesting that I have been just talking about teaching. My first poem grew out of a need to find my own voice, to define myself as a creative self. Before 2007 I have been in search for my signature. I still am. The fact that I added a penname to my name does not make it the least bit easier! After 2007 I realised that what I needed to find was my voice – which may be regarded as another signature. In teaching, writing or singing, I have been trying to find a voice of my own. The need for guidance in learning is universal. I completely agree with Ernst Junger, who wrote in The Glass Bees: “I am firmly convinced that one of the high orders of the universe is a pedagogical order.” That is why in my search for my own voice I sometimes craved for a teacher, a mentor or guide, even though advice or help seemed to come from within, more often than not. This is what my first poem is about: the desire to assert individuality at the border of teaching and being taught, speaking and being spoken to, singing and listening, at the far edge of silence. 7. Where can we find your book now? At the moment the book is available in Krakow at the bookstore Lokator, at Massolit, as well as in libraries throughout Poland and Romania. I believe you can still find a few copies in Ars Cinema, in Kraków. I am in charge of the distribution of the book, so if you would like a copy, the best thing to do is to show up at any events I organise (more details on www.myspace.com/alinaalens) or write to this address: alina.alens@gmail.com. You are welcome to send your impressions and comments to this email address as well, I will get back to you! __ 4th of November, 2009: Alina Alens is interviewed by Witt Wilczynski for RadioWiD. __ 25th of April, 2009: the release of The Incomplete Fantasy We Call Love. __ 9th of August, 2008: Alina Alens interviews Atma Anur on his teaching experience at ISJA (the International Summer Jazz Academy) in 2007 and at the Krakow Jazz School between 2007 and 2008. The interview is available on line on Atma Anur’s blog. __ Another interview in which Alina Alens investigates the relations between teaching and music is the one below, taken in the summer of 2007, in Gdansk, as part of her research on the interdisciplinary study of teaching. We are all teaching, but are we teaching to the right rhythm? Alina: Marcin, first of all, thank you for taking the time to answer these questions while touring with your band through Poland. Marcin: Thank you, too. It’s a pleasure. Alina: Ever since I watched your performance in Krakow for the Capoeira Festival on June, 16th, 2007, I was sure that your experience as a percussionist and conductor could bring an important contribution to teachers worldwide, as far as successful classroom management is concerned. My initial hypothesis was confirmed during our first talk, when I noticed that we shared a common interest: music teaching in your case, English teaching in mine. I’m not suggesting that English teachers should take up playing drums, or any other musical instrument, for that matter. I have to confess, though, that I was into drum playing in high school, then switched to guitar and I have always wanted to play the piano, but never made time for it. However, the reason why I asked you to give us an interview today is greater than any of my personal interests. How many times do teachers have to turn the relative chaos of their classes into order? How many times do teachers have to create new strategies of captivating their students’ mind and attention, maintaining their level of interest in the subject they teach? The answer is: every day. Every day, proficient teachers turn bad energy (dissonance, disharmony, stage-fright symptoms) into good energy (consonance, harmony, well-used adrenalin), just as a conductor leads his orchestra into perfect harmony. The parallel between conductors and teachers is all the more relevant if we are talking about conducting people playing percussion instruments. There are seven musicians (including the conductor) and a vocalist in Sambasim. Eight people are obviously fewer than the students of a regular class, but they are remarkably noisier! Most of my questions will therefore refer to your technique of finding ways of guiding the eight potential rhythms in your band into harmony. I have noticed that you use whistles and body signals to conduct. My first question for you: is there anything else that I missed? Marcin: Yes, apart from hand signs and whistles, there are also additional signs like smiling, head nodding, etc. But the most important thing is my vitality and commitment, because it is essential to have this kind of energy; I am a mirror for my musicians. Alina: You have been involved in music as a bass player, vocalist, and percussionist for over 10 years, but when and how did you start conducting? What made you decide you were the right person for the job? Marcin: I had my first contact with conducting when I was 26, when I started my education at the University. My master teacher was Prof. Beata Dąbrowska. At that time I wasn’t thinking about conducting a percussion orchestra. The music of Latin countries has always inspired me, but I have always wanted to be a regular musician, not a conductor. I started to conduct last year, when Sambasim started giving live shows. I noticed since my childhood that there were some factors that would make me a good leader, a conductor. All the group activities I took part in, especially those connected with music, put me in the position of a helper, or teacher. Unfortunately, maintaining the level of my concentration very high for a long time while conducting has always been a problem, until recently. However, despite some problems, I have decided to take this position as a challenge, an experiment, and for the new experience it brought on with it. Alina: When you think about it, is conducting something that anybody can do, or are there special qualities that one must have if he wants to become a conductor? Marcin: Everybody has different talents, depending on their genetically inherited qualities, on their character, their environment and their culture. In my case, it is a natural way of development, a bit random, but, yet, destined. Alina: I imagine that since you started conducting you have created a personal system of signals or signs that you use in Sambasim. I would like you to give us some details about these signals. For instance, what were the first signals you used and what for? Marcin: I have been conducting for a short time, so my basic knowledge comes mostly from my experience as a musician. Most of the signs that I have found in other samba conductors also work for me. I got to know them through films, concerts, lessons. Sambasim was created out of and for the common joy of playing, of people expressing themselves in music. The first and essential signs I used in Sambasim were the “stop” and „pause” signs. Alina: Which signs were the easiest to create and which were the most difficult? Marcin: The signs in themselves are not difficult. The difficulty lies in what is “behind” the signs, that is, in the complexity of the rhythm and in its interpretation, which sometimes can get someone carried to a wrong direction. Alina: If you placed these signals into categories, what categories would these be? A – Basic signs like pause, more quiet, louder, stop. B – Specific signs for instruments (every instrument needs to have its own sign); C – signs for parts of a song, meaning the beginning, middle, or end of a song. D – the most difficult signs, which are created for elaborate arrangements and certain rhythmical patterns. The „C” signs can’t exist on their own. Using them varies depending on the rhythm currently used. Alina: There must be some essential signals, some signals without which it would be difficult for you to maintain the right rhythm in the band. Can you tell us a few words about these? Marcin: The essential signal is the whistle. It always attracts the attention of the whole band towards me. Before playing the song, it is essential to set up the tempo. I use my repinique drum for it. Alina: Any conductor improves his system constantly. This means adding, adapting and excluding certain signs, keeping the effective ones and giving up on the ineffective. How does this process take place in your case? Do you have a mental map of the signals before you find a way of physically expressing them, or would you rather use another way of describing how you create your signals? Marcin: If the conductor is constant in using the old signs, the new ones can be adopted very fast by the rest of the people in the band. However, there are times when it is better to use the old, previously checked-out signs. A new sign can also be related to the situation when, for instance, one is uncertain. Alina: There are always new signs to be invented. However, creating signals to regulate people’s rhythm is not an easy task. Where do you draw your inspiration from? Marcin: I have my 4 categories: A. Basic Signals, B. Instrument Signals, C. Song Signs and D. Arrangements. When I invent a new rhythmical pattern, it usually means I am showing a lot of signs closely following each other, or even that I am showing more signs at the same time. It’s very inconvenient and it takes a lot of time, but is also very efficient for the new arrangement. When the band has learnt the new pattern, we make a deal that instead of showing the A, B and C signs I create a new D sign, that will take the place of A, B, and C.
Lately, I have replaced the C signs by a whistle. It takes a high dose of reflex action from the band, but it is very efficient. I am also trying to replace some D signs by a whistle, which is good for practicing on the concentration level of the people in the band. Alina: When you change something about the sign system you use, are these changes minor or major? Marcin: Every change can only be implemented in small steps, otherwise there will always be misunderstandings. Alina: From your experience, is practice the only best way of remembering the signals and their meaning for you and the band, or do you use other ways of remembering them? Marcin: I mainly use practising as a way of remembering. As a conductor, you have to be aware that every member of the band has a different character, a different outlook on his or her role in creating music, their different needs, and expectations. That’s why practising is universal for everyone and this is what unites them. One cannot also forget about the role of motivation, improvisation and diversity in exercising. Alina: Are you afraid of forgetting the signals? If you’re not, is there anything to be afraid of when you have a band to conduct? Marcin: What I am afraid the most is losing the „pleasure” element in playing music. There are some dangerous situations like stress, tiredness, or lack of musical knowledge. Alina: Playing in an orchestra of percussion instruments means paying attention to the general rhythm and at the same time synchronizing to the rhythm of the other players. The conductor plays a very important role in this. How difficult is it for a conductor to apply new signals in order to increase the quality of the performance? Marcin: Sometimes my band members forget those signs or miss them if I show them too fast. One should only laugh about it. However, sometimes, during our playing, black clouds appear… If I let myself immerse into bad energy, the performance we’d give would always be directed to the wrong way, it would lose its force and grow weaker. I think this is the basic problem of every band. Alina: What is the value of silence, of not signaling, in conducting? Marcin: First of all we need to put a border between silence and not signaling. The silence takes place usually as a break between songs, or as a pause used for refreshing the energy flow, or marking some musical situation. Not signaling leaves the people in the band to themselves, and may lead them to act in various ways, depending on their personalities, on whether they like frequent changes, or they prefer monotony. Some may take it as a field for improvisation, some as a trance. Alina: One last question: How do you see the future of conducting in Sambasim? There will always be innovation. Is there anything else? Marcin: I think it is good to do what you really want to do, what you like, constantly working on your weak sides, taking energy from your strong sides, helping others and receiving help. I think the future are the people, the Sambasim. Alina: Marcin, thank you very much for your answers and good luck with Sambasim and all the other projects you are involved in! Billingham, Jo.2003. Giving Presentations. Oxford: Oxford University Press. Cohen, Norman. 1999. Effective Mentoring. Amherst: HRD Press. Eggert, Max A. 2000. The Motivation Pocketbook. Alresford: Management Pocketbooks Ltd..
Jones, Pam and Janie van Hool. 2004. The Impact and Presence Pocketbook. Alresford: Management Pocketbooks Ltd..
Malley, Alan. 2004. The Language Teacher’s Voice. Oxford: Macmillan Heinneman. __November, 2007: Melania Duma writes the review of “The Incomplete Fantasy We Call Love” to be later included in the first edition of the book. __ September, 2007: Alina’s article: “Teaching English: A Learning Experience for Students Only?” is published in The Teacher magazine, Warsaw, 10 (52) 2007, pp. 46-51. __26th of April, 2006: Alina donates copies of her MA and BA papers on Thomas Hardy to the Max Gate museum. Max Gate is the house built by Thomas Hardy in 1885, near Dorchester, now owned by the National Trust, and open to the public. __October, 2005: with Iulia Cosma and Andreea Suciu, Alina gives a presentation on optional courses designed for primary and secondary school levels at the RATE-Quest International ELT Conference in Cluj. Thanks for your book that you sent me. I enjoyed it. As it is based on your personal experience, it’s very moving and “close to life”. I think that people often feel the same way you describe in your poetry, but they can’t express their feelings and states of their heart and soul. It’s very nice that my city, Cracow, is also present in your poetry. The contents is clear and natural, so when I read it I feel as if I was involved in all events together with all heroes of this book of poetry. Your poetry is very interesting and, of course, worth reading. Hope to see you soon and, until we meet, may you have a dream-like New Year 2011, full of energy, inspiration, and enthusiasm for change, improvement, and everything that’s good and gracious! internet. Let me suggest this blog! Some genuinely interesting information, well written, and in most cases user genial.